Klaus Goeldenbot knows all about big businesses. 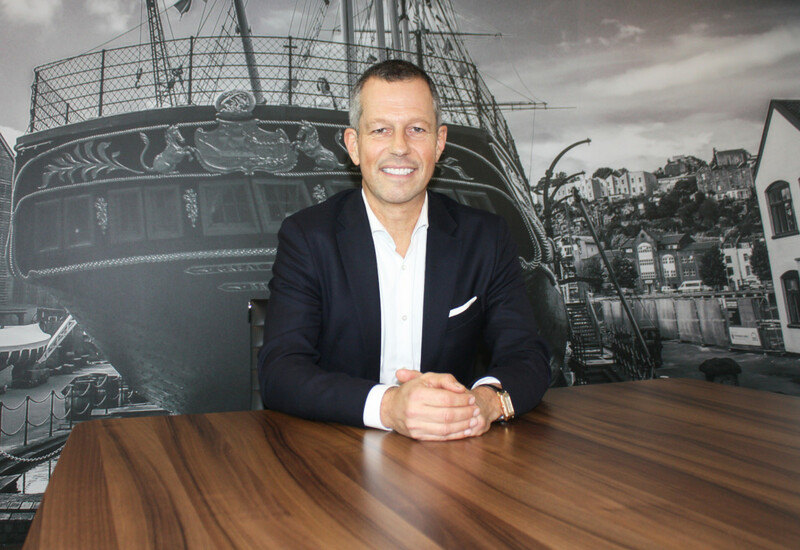 His most recent role at RS Components saw him lead an organisation that turned over £1.2 billion and ran operations in 28 countries. 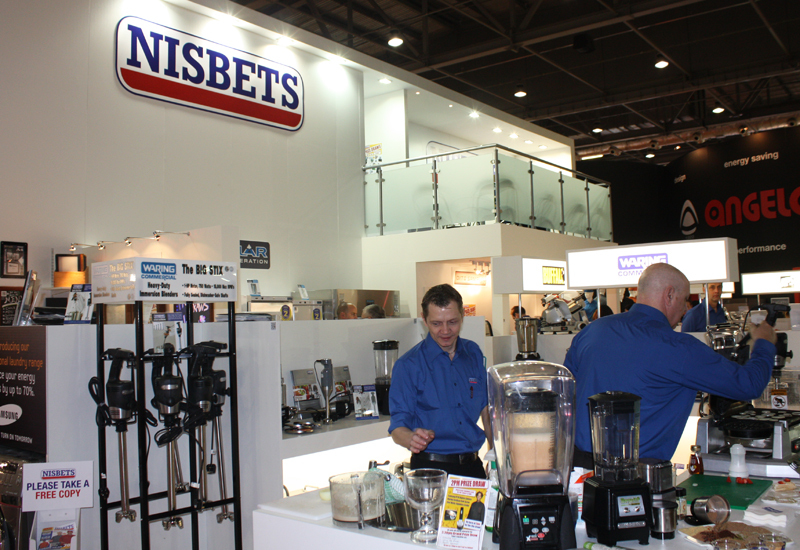 Now, having quickly acclimatised himself with the catering equipment sector during a whirlwind first 100 days in charge of Nisbets, he is plotting how the omnichannel kitchen supplier can enhance its position at home and abroad to become a global industry force. In his first interview since taking the helm as group CEO, he sat down with FEJ to talk candidly about what it will take to propel Nisbets to the next level. Klaus, you’ve now completed 100 days in the role. 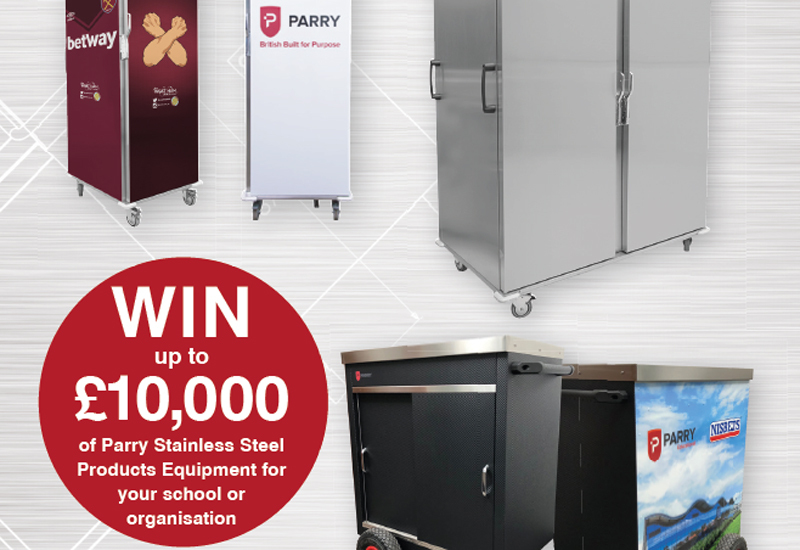 What has struck you most about the catering equipment industry having come from the electronics and industrial components industry before? If you are talking about first impressions then I would say the headline one is that I have joined a really great business. I’ve literally spent time in every single department so far — I’ve picked and packed, I’ve been on the phones listening to customer calls, I’ve been out and about meeting suppliers and customers, I’ve been involved in our sourcing office in China and our European business, so I have seen quite a lot in the first 100 days. And the one thing I have seen wherever I have gone is a very positive mindset and a very enthusiastic workforce with a really positive can-do attitude. There are ideas and little projects going on everywhere, almost to the extent that it needs reining in a little to ensure a bit more focus. But there is a real drive to do better and to grow the business in a way that not only benefits Nisbets, but the customers and the suppliers. When Andrew [Nisbet, owner and chairman] asked me to join in August last year he said very clearly, ‘this isn’t a business that’s broken, this is a very successful business and your task will be to help us make it a big international player and to help us to grow up’. The business feels a bit like a teenager — it has been growing and growing, so some of the body parts are out of proportion. However, the lack of red tape has actually been a real asset for it because decisions are quick and fast, there is no bureaucracy, and it is a completely unpolitical environment. It now requires a bit more structure and process to get to the next level of development and that is the challenge: how can we take it from this young, successful teenager to the young adult that is just as successful but has a bit more structure and stability as well. How is that target of getting to the next level being measured? Is it about the number of new markets you enter, the scale of the revenue or the level of profit, for example? In other words, what will constitute getting from teenager to young adult? That is a process that we are going to go through this year. I will sit down with my management team and work on that plan. I can’t talk about it yet because one of the big tasks for this year is to develop that plan. I think if you knocked on the door in a year’s time, then we would have clarity on that. The last published accounts on Companies House, for the year to 31 December 2016, show that turnover grew 26% year-on-year. Can you tell us anything about the year just gone? The company has had another really strong year. We are literally finalising the audited results at the moment and the numbers will come out in a few weeks’ time. I don’t want to give them out yet because our CFO will have a heart attack! Sometimes things like stock adjustments can alter the final numbers, but it is another year of very strong growth. In a lot of the markets that we are in we have definitely outperformed the market, including the UK, where we are already a really big player. That means we have gained market share, which is really positive. 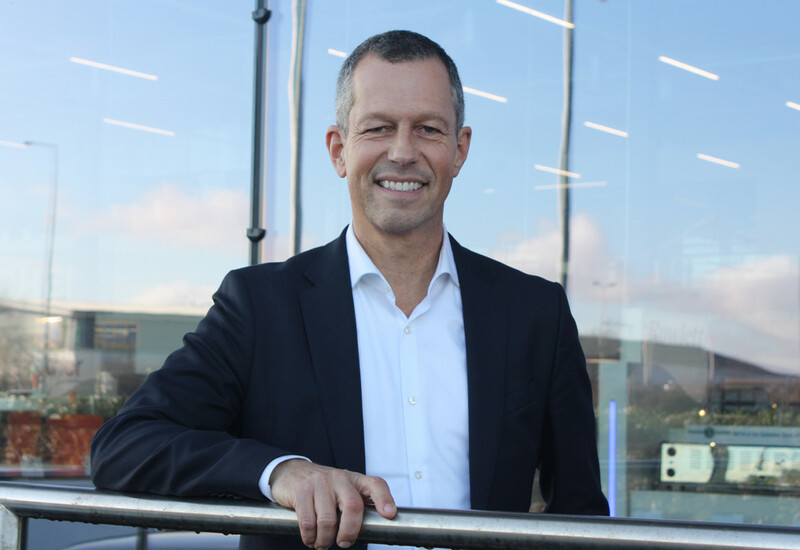 Klaus Goeldenot insists nisbets is committed to an omnichannel sales strategy that allows operators to source products through online, mail order and its physical retail stores. The strategic report contained in your last set of accounts states that the directors are committed to maintaining a ‘competitive pricing structure’ to achieve future growth. Presumably that’s still a key part of the strategy? Competitive pricing is one of a number of marketing elements and it will always be part of what we do. It is an important factor in the buying decision, but it is the total value that you create for the customer that counts. So you can sell a product at a certain percentage cheaper than the competition but if the product doesn’t turn up or you let the customer down then you might have caused the customer more cost in the long run. The key thing is the total value that you deliver for the customer. Price is a key element and we are constantly comparing and checking prices to make sure we offer a fair and competitive price, but it is part of a mix that includes things like product quality, services and delivery. 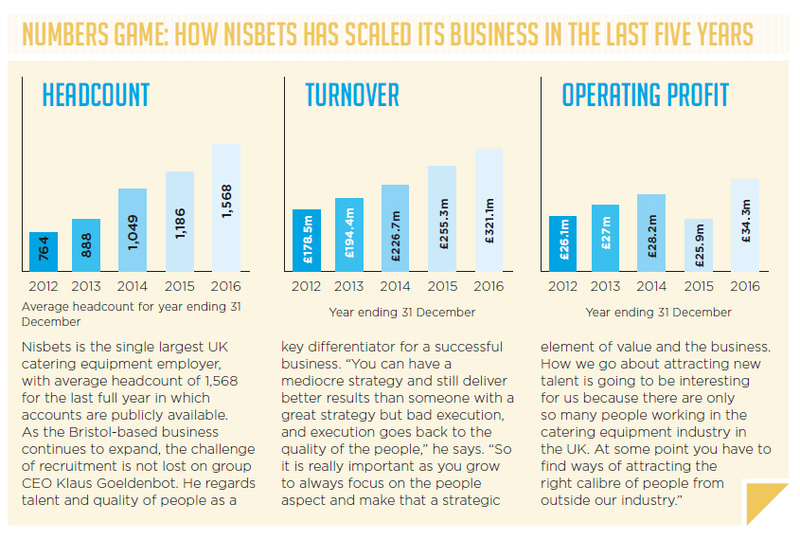 Nisbets made a turnover of £321m and employed 1,600 people in its latest financial year for which accounts are publicly available, which makes it the largest catering equipment supplier in the UK by some distance. As that scale increases, does the business become more vulnerable because it is such a big beast to feed? I don’t think it becomes more vulnerable, no. What I would say is that from a cultural point of view it is important for a business to stay young in mind. If I look at what differentiates companies that have been around for years and are still growing from those that launch and disappear quickly it is their mindset and how they go about things. You have got to stay agile, flexible, enthusiastic and humble. I think the risk that I could see is that you forget your roots and what has made you a great business in the first place. 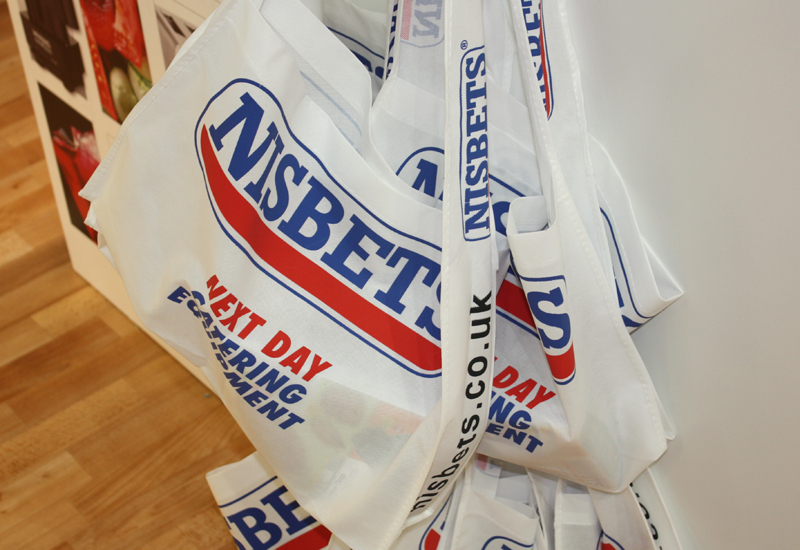 What can you tell us about Nisbets’ online business in terms of how much it now accounts for? Over the last few years online has become the biggest single channel in our multi-channel model and it continues to grow the fastest. It enhances the overall omnichannel performance — we are digitally-led but with a human touch via our stores, contact centre, sales teams and after-sales teams. For me this is strategically very important because if you look at everything that is happening in the world you need to find a way of using online to the benefit of your business, your customers and your suppliers. I am very proud to say it is our biggest channel. In fact, we are now in the top 250 UK websites full stop, according to Internet Retailing, which is a nice achievement for us. Nisbets made its name off the back of its mail order catalogue business — there can’t be many chefs that haven’t leafed through one of those over the years. Is that side of the business shrinking now that more customers are buying online? There is still a big chunk of sales going through mail order, but I would say that the catalogue circulation is smaller than what it was years ago. Browsing in a catalogue is so much easier than browsing online and for some people having their phone or a mobile device in a kitchen isn’t the right thing. What they increasingly want to see are other publications, such as ‘specialogues’. 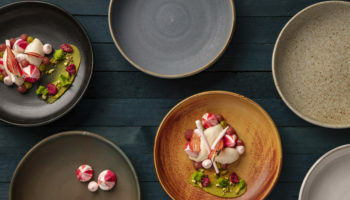 For example, if you want to present a tableware range reflecting the latest trends then the current edition of the catalogue might not be the ideal format. So what we are seeing is a trend towards brochures or extra publications that bring out a specific part of a range. 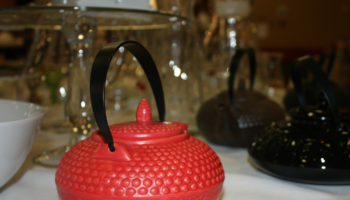 This is then also reflected through a dedicated web shop and through the relevant displays in our retail stores. At the end of the day, a customer might go online or might be prompted by a brochure that we send them but then they might buy through the website or in-store. So there is always this never-ending challenge of creating a seamless experience for whichever channel the customer is using. Let’s talk about your retail strategy because you now operate 30 catering stores in the UK and have indicated there are more to come. If you look at the wider retail picture, all we read about in the news is the high street declining and major retailers closing shops. How much longer can you go on bucking the trend? I don’t think it is a question I can answer you at the moment because that is part of the strategy work and assessment we will do. My current view after three months — and I have been in a quite a few of our retail stores — is that there is a future for more retail stores. I wouldn’t want to give you a number but it’s part of the omnichannel strategy. Online is going to become even bigger, but people in our industry still want to touch something and feel something and have a conversation with a knowledgeable person. Look at what Amazon is doing. They were online only and now they have bought Whole Foods, with a large number of stores. They are now combining the online and the retail with a new logistics strategy that could end up with drones delivering items and a more sophisticated click and collect. So I think there is a continued future for retail. I’m a strong believer in digital with a human touch. Yes, there is, but it could also be a question of size of store. Today our retail stores more or less look the same even though the building and the location will drive some variance. The question going forwards is could they be different in size or even share an occupancy with another retailer? The key thing is to connect it with the omnichannel strategy to deliver a seamless experience, and to do that you really need to know what needs it fulfils for your customer. If you don’t do that then investing in bricks and mortar might be the wrong thing for the business to do. What has Brexit meant for Nisbets? It has meant that we have needed to deal with the currency fluctuations and that means that we continue to look at the marketing mix — so what does it do to our selling and buying prices. We have to look at how we offer the customer an attractive service going forward while at the same time managing the enhanced costs that we face and making sure that we can continue to drive profitable growth. Given the level of volatility and the fact that you source a wide range of own-brand products, you must have felt a lot of pressure on the margin? Yes, there is pressure on the margin but then margin management for me is a key skill of a good business. There are ways that you can improve your margin and that doesn’t mean that you just ramp up the prices for your customers because that could be the wrong thing. You end up getting a profit hike in year one and then in year two you suddenly see your customers drifting away. There are are many different factors that impact gross margin and the important thing is that the business is aware of those and assesses all of them, not just the pricing. That is what we have done and what we will continue to do. What is interesting is that when I started at RS Components, the mother business in the UK was a similar size, around 75% of sales. Today 25% of RS’ sales are from the UK and 75% are international. That was one of the reasons that Andrew brought me on board, to help the business grow internationally. Part of the work I will be doing with the team during the course of this year will involve mapping out where we want to be in a few years and what it might mean for organic and inorganic growth. Looking at the longer term picture, what’s the ultimate goal that the company is working towards? We have a great business and there is a very clear desire to grow the business a lot bigger, and we think we can do that. We want to increase the international footprint and deliver great service to our existing and new customers around the world. Will catering equipment leasing become the norm? Financing large ticket catering items is becoming a bigger issue for operators that are looking to rein in costs, with many striving to sweat their assets for as long as possible rather than invest in new capital equipment. In recognition of the outlay required to acquire heavy duty kit, Nisbets has rolled out an interest free credit offer that allows customers to spread payments on Polar refrigeration and Thor cooking appliances over 12 months. 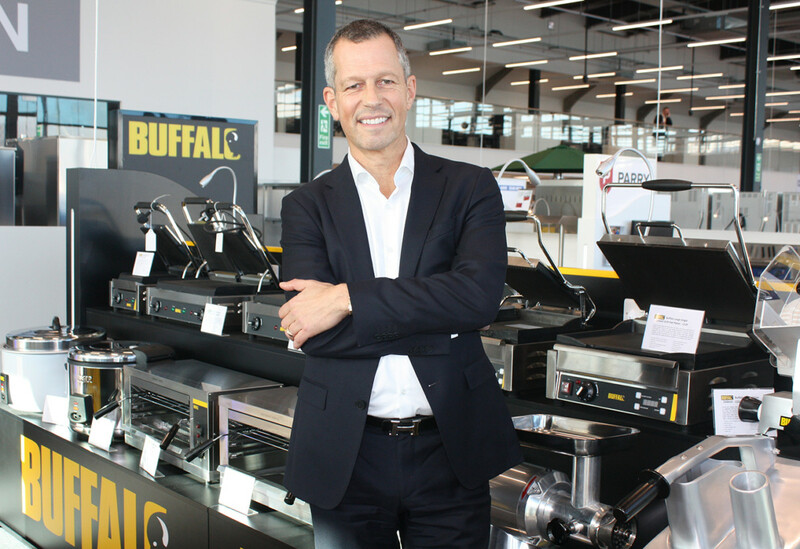 The offering is being managed by Chef Leasing Ltd, a wholly-owned subsidiary of Nisbets, and for group CEO, Klaus Goeldenbot, leasing is an area he plans to monitor closely. “We are spending more time to understand our customer requirements, using data to find out what customers really need and then basing our decisions on that,” he explains. It’s excellent for our industry to entice talented people in from ‘outside’, we need more of this to help us capitalise on our strengths and run large companies professionally and intelligently. We are all tired of watching businesses flounder for the sake of strong, forward looking, well trained management. Well done Andrew and welcome Klaus. Great to see a vital and engaged company acting. All the best to transform the “teenager” into a “value added global teen”.